When the Hainanese people migrated out of China in search of better opportunities during the early 19th century, they brought their cooking style with them. Hainanese cuisine quickly gained popularity throughout Southeast Asia, blending with local customs, ingredients and culture to form unique dishes that can only be found in this region. The Hainanese chicken chop, for example, traces its roots back to British Malaya, and as such, can only be found in Malaysia/Singapore (you won’t find it in Hainan!). It combines the best of Eastern and Western flavours, and features a battered chicken chop, deep fried and drenched in a pea/onion gravy sauce. 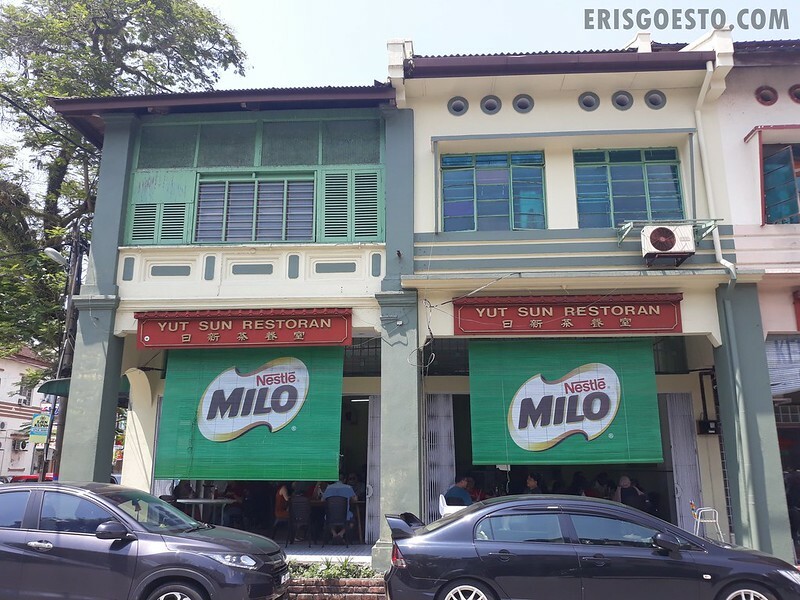 Yut Sun is a household name in Taiping, frequented by locals of all races. It’s charming to see how the place retains its small town charm, where everyone dines and chats in a relaxed, no-frills setting, a far cry from big cities. 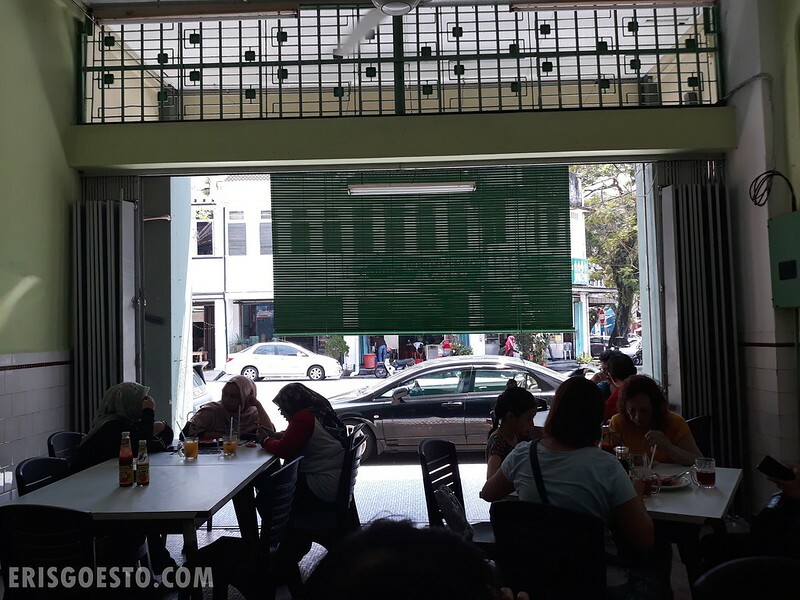 Dining area is spacious and airy, spanning two shoplots. No air conditioning, but the design of pre-war homes is such that the high ceiling helps with ventilation and keeps the building cool even in sweltering hot weather. 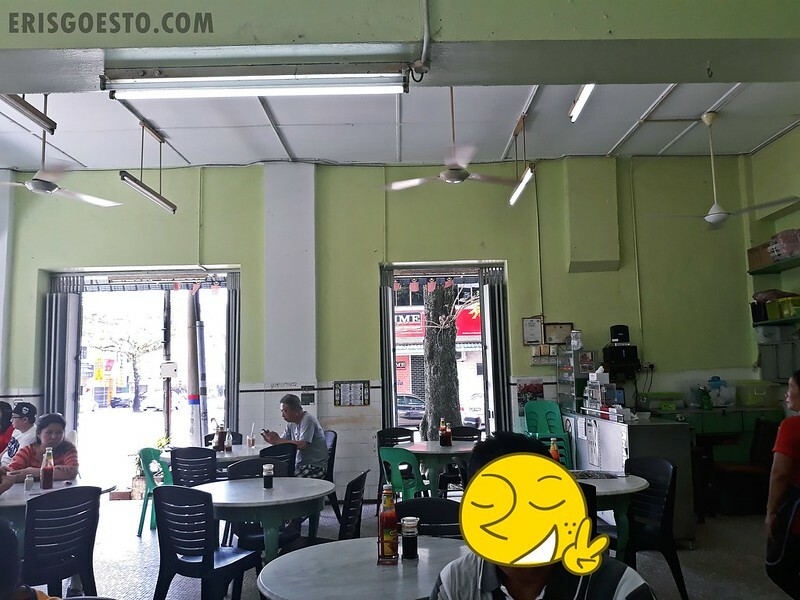 Very ‘old school kopitiam’ feel: marble top round tables, wooden chairs, tiled walls and flooring. 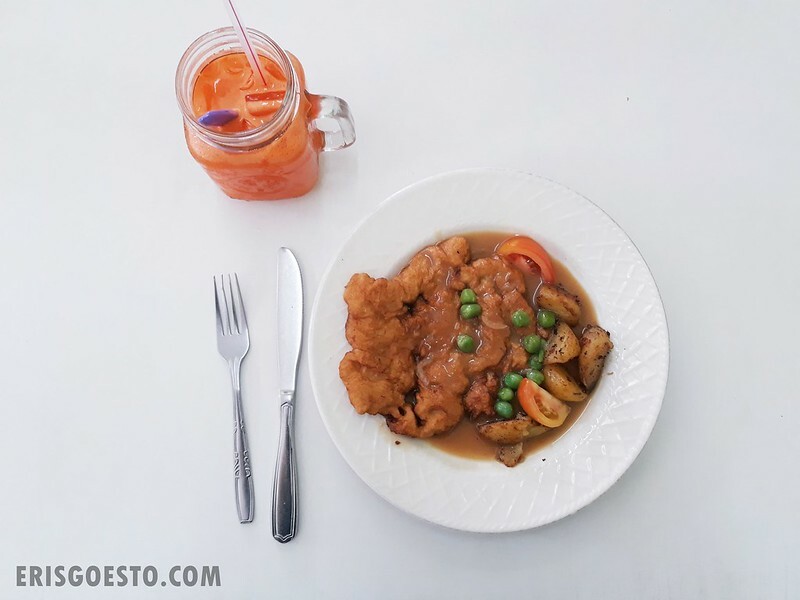 There are several Hainanese specialties on the menu, but the whole fam opted for the signature Hainanese Chicken Chop (RM10), which featured a whole battered chicken fillet, drenched in an onion/pea/mixed vegetable sauce and a side of potato wedges. Everything was excellent, from the flavours which melded together beautifully, to the perfectly cooked, tender chicken fillet with its savoury crust that was almost like a second skin. I love gravy. I think it’s underrated in Malaysia (for some reason, Malaysians don’t have the same appreciation for gravy as the Brits. I drenched everything in gravy when I was studying in the UK because it was so readily available). The version here did not disappoint, and had me mopping up every last drop with the chicken meat. My only qualm is that I wish that the portion had been bigger, because one plate was definitely not enough! Looks and sounds delicious! As always, thank you for the insight, it’s very cool to get a historical view of dishes I’ve never heard of! Reading your review made me crave for said dish with lots of gravy! I hope this senior blogger can visit said place someday … Looking forward to your next posts!